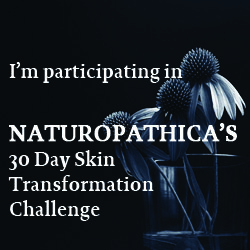 I recently received a special invitation to participate in Naturopathica’s first ever 30-day skin care challenge to celebrate the launch of their new Regimen Kits. 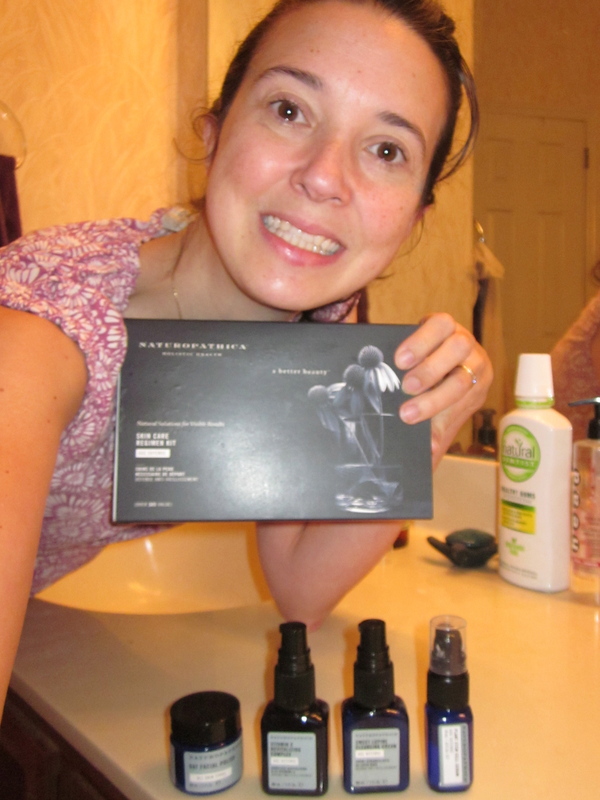 I have had the privilege of trying Naturopathica before and I loved it, so of course, I was very excited to receive a kit so that I could share my Naturopathica reviews. The new Naturopathica Regimen Kits feature high-performing and all-around favorite Plant Stem Cell Serum– a powerful all-natural facelifting serum that visibly smooths, brightens and plumps the skin. Each kit contains the tools for a morning and evening skin care ritual, with their Oat Facial Polish and custom cleansers and moisturizers. Very fancy stuff but not just fancy- quality, natural, performing ingredients are what make me love Naturopathica products. If you haven’t tried a Naturopathica skin care regimen before, or want to know how to get started, this kit will transform your skin. Naturopathica offers healthier, restored and renewed skin in just 30 days. Naturopathica Age Defense Skincare Regimen Kit with Sweet Lupine Cleansing Cream, Oat Facial Polish, Plant Stem Cell Serum and Vitamin C Revitalizing Complex offers visible results. Soothing Oats and Jojoba Beads gently sweep away dry, flaky skin, removing impurities and leaving the face soft and radiant. A powerful antioxidant blend of Vitamins A, C and E is combined with Kudzu to help reduce the visible signs of aging. This ultra-rich make up remover and cleansing cream melts on the skin to remove dirt and grime while leaving a protective moisture barrier on the skin. An ECOCERT certified organic concentrated serum, designed to significantly slow down the aging of cells due to inflammation caused by UVA photodamage and oxidative stress. I have only been using the kit for three days so far. I love the smells of the natural ingredients. They are really pleasurable to use because they smell lovely and feel great. I will add details here as the days of the Challenge pass! My skin is feeling super soft, even my husband noticed the difference. I love the smell of the cleansing cream- it is intoxicating and sweet. The oat facial polish is a light exfoliant with tiny round beads that lightly rub and leave my skin very refreshed. Still enjoying the smell of the products and I impressed with the results. My skin is clear and smooth. I am still using the Naturopathica Skincare Regime Kit. This is big for me, I tend to lose interest in skincare products and get lazy. With the Naturopathica products I really do enjoy the natural scents and I really notice the difference in my skin too. My skin feels so much softer and smoother when I use Naturopathica that I look forward to using it. The Vitamin C Revitalizing Complex is a perfect day moisturizer- light and firming. I totally in love with this skincare set! 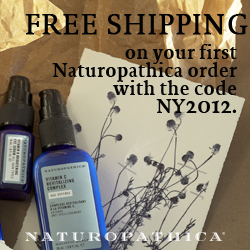 I can honestly say that Naturopathica products are my favorite skincare products that I have tried thus far. I saw that they use them at the Spa Prunifolia at Callaway Gardens. Just goes to show what good quality products they are! I did receive a kit in the hopes that I would share my honest opinions. I did not receive any monetary compensation and the opinions expressed are my own.